We’ve just launched a new useful feature – mailing list management integration with MailChimp. 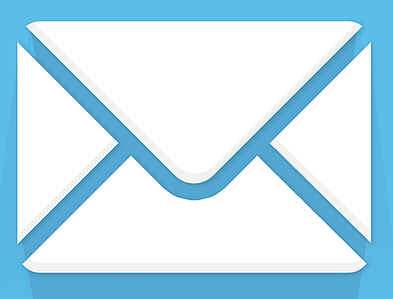 MailChimp is probably the most popular email marketing service available today. It lets you manage your contacts in multiple mailing lists, and create gorgeous looking newsletters, season greetings and any type of mass email with ease, using a myriad of templates with pictures and graphics. We use MailChimp ourselves here at Bookeo, and we love it – this is why we wanted to offer the same opportunity to you. What is good about MailChimp is that it offers very advanced tracking (how many people received the email? how many clicked on each link? ), Facebook and Twitter integration, Google Adwords conversion tracking, and a myriad of other goodies. They also have deservedly good reputation with keeping spammers away, which means that emails sent via MailChimp are less likely to be rejected by ISPs – which means you reach more of your customers. We initially played with the idea of providing mailing services ourselves, but came to the conclusion that it was in the end pointless, when there are already solutions that do a much better job. We prefer to focus on bringing you the best online appointment scheduling on the planet, and integrating with MailChimp to let you create killer newsletters. If you are using a ‘home made’ mailing solution, instead of a dedicated mailing service, you’re just missing out on reaching many of your customers. It’s better to go with a company whose only focus is on getting your emails to the recipients’ inboxes – up to 25% of your emails may get in the ‘spam’ folder otherwise. Ops! I almost forgot: you may now wonder how much does MailChimp cost? You can rest easy: you can send up to 12,000 emails per month, completely free. So, give it a try today. In your Bookeo account click on Marketing>Integrations>MailChimp, and set up your integration in 10 seconds. Bookeo will start to automatically populate your mailing list with your customers, ready for the next newsletter.